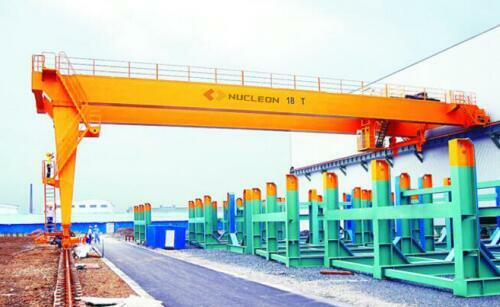 BMG Double Girder Semi Gantry Crane, commonly used for factories, warehouses within or close to the factory outside, the no leg side is under factory railway, the right side located on the ground railway, used for transporting general goods. 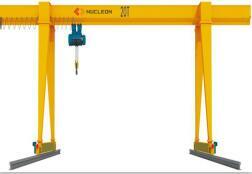 Double Girder Semi Gantry Crane driven is three-in-one driven, variable frequency control, simple structure, easy maintenance. 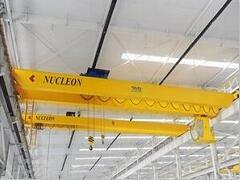 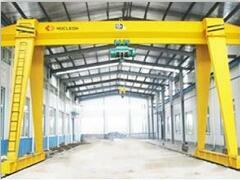 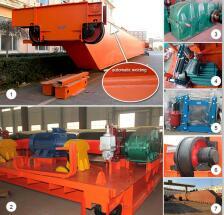 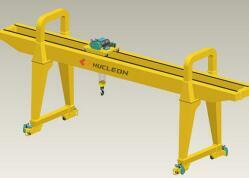 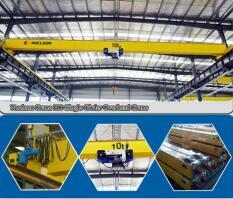 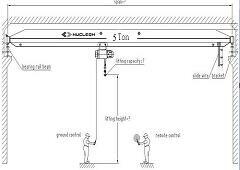 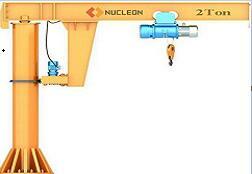 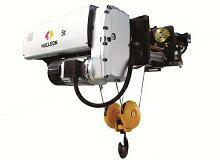 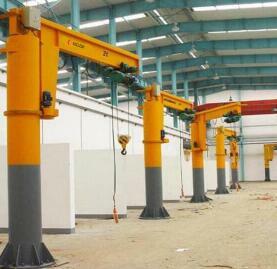 The Double Girder Semi Gantry Crane Control method is ground control or cab control, driver’s cab on the leg side.